Spencer’s own brands, commonly referred to as private label, offer a wide range of products ranging from food to personal care to fashion to home utility items. Spencer’s Smart Choice, Tasty Wonders, Clean Home and Maroon are some of its own brands which host a varied choice that caters to the need of a modern household. 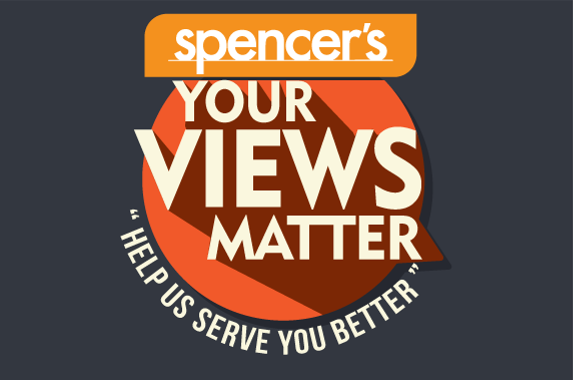 The Spencer’s own brands cover a lot of articles in the food space, including rice, pulses, whole spices, dry fruits and nuts, sauces, instant noodles, breakfast cereals, honey, breads, beverage, wafers, pickles, jams and cookies. Spencer’s is mindful of catering to local tastes, and therefore its vegetable and fruit pickles are customized to regional flavors as well. It’s personal care range includes items such as face wipes, tissues, baby needs, and hand wash, while it’s home care range includes detergents, dishwashing soaps, toilet cleaners and floor cleaners. Maroon is another of it's own brands, which provides premium home care solutions. From cooking to serving, Maroon is your complete kitchen partner. Its assortment includes premium storage and kitchen utensils, beautifully designed melamine ware, and foil wraps. There are also smart backpacks and convenient travel accessories that Spencer’s sells through its private label brands. In the fashion and apparel space, Spencer’s offers both contemporary and classic looks through its own brands, which cater to casualwear, loungewear, leisurewear, formal-wear, and accessories such as leather items, casual jewellery and footwear. Some of the popular private label brands are Island Monks, Mark Nicolas, Asankhya, Scorez, La Bonita and Island Monks Kids. Overall, the Spencer’s private brand ties into its positioning of Makes Fine Living Affordable, and therefore all the products are conveniently priced and promise great quality.